Sorry… I just couldn’t resist the punny post title! 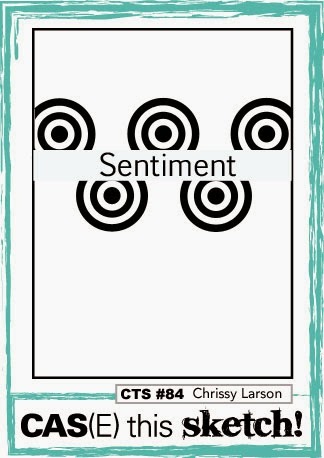 This is a card I created to combine a few different challenges. 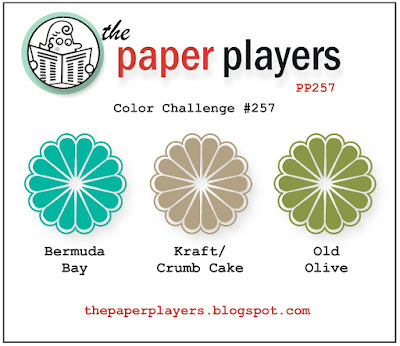 I’ve taken the color scheme from the current challenge at The Paper Players. I would not have thought to combine these colors, and I had a little trouble working with them, but I suppose it turned out OK in the end. I will readily admit this wasn’t one of my best coloring jobs, but I think the marker colors match the specified colors pretty well. The embossed clouds tie into the current AEIHeartU challenge. 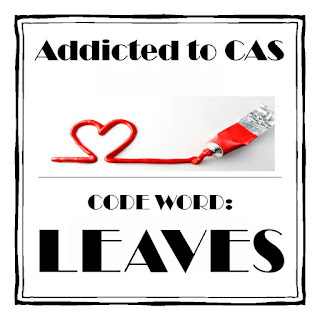 The layout is from the CAS(E) this Sketch challenge that ends tomorrow morning. The two butterflies are adhered with dimensional adhesive for a little visual separation from the background. 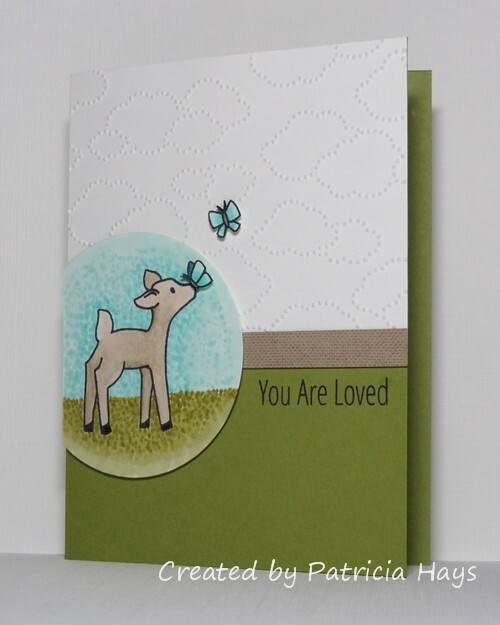 The narrow strip of kraft cardstock is stamped tone-on-tone with a subtle texture stamp. 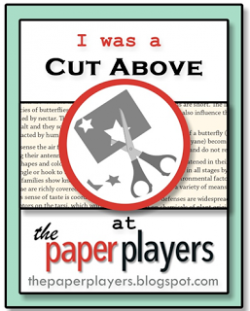 Edited on August 15, 2015: What a happy surprise it was to see that Nance of the Paper Players Design Team chose this card as “A Cut Above”! Thank you so much! 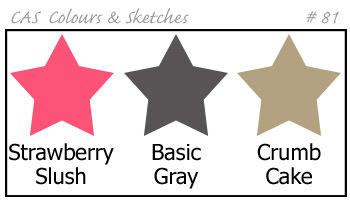 It’s color challenge week again at CAS Colours & Sketches, and we have some bright cheery ones for you this time. I have to admit it took me a while to decide how I wanted to use them on my card. I finally decided to combine the color challenge with a couple other challenges and make a birthday card. The current challenge at Less is More is to make a one-layer card incorporating splatters of some sort. 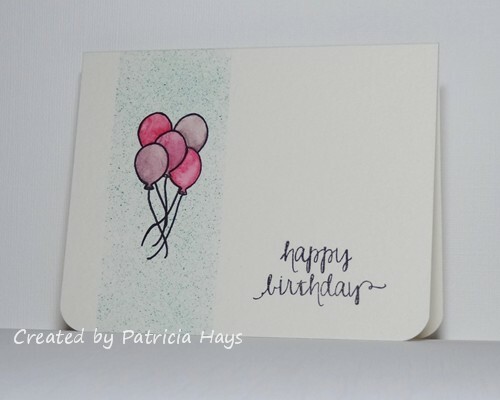 So I masked off an area on the front of my card, stamped the balloons (masking each one as I stamped them), and splattered some Coastal Cabana ink over the area with an old toothbrush. Then I removed all the masks, partially colored the balloons with Perfect Plum and Rose Red watercolor crayons, and used a paintbrush and water to spread and blend the color over the balloons. It’s been a long time since I’ve participated in a challenge at AEIHeartU, and their current one is to use watercoloring, so the balloons qualify this card for that. 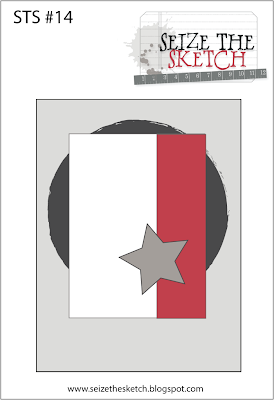 Using the corner rounder on the bottom corners of the card was a last-minute decision to do something a bit different. I think it ties in with the roundness of the balloons. And there you have it – one layer, splatters, watercoloring, and the three CC&S colors. 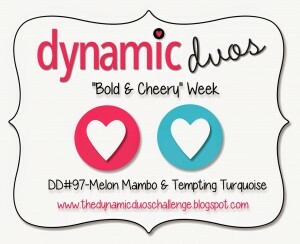 How will you use our challenge colors? If you want additional inspiration, be sure to see what the rest of the CC&S design team has made. 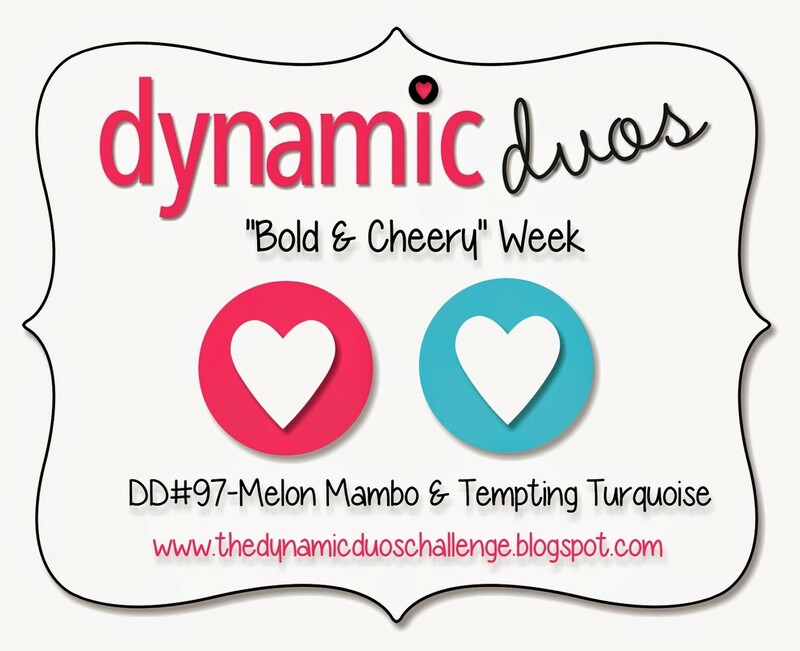 Then link your own card to the challenge post by 6:00 p.m. Eastern time Wednesday, April 22. We’d love to have you join us! Thanks for stopping by today. 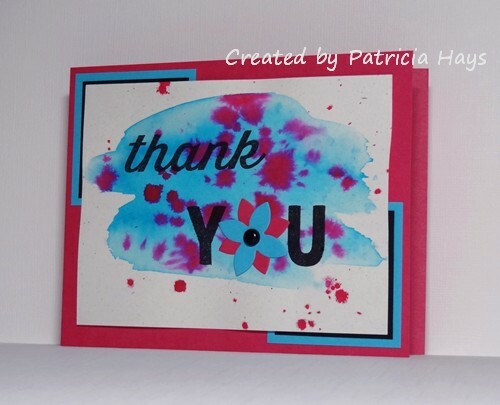 Posted by PH in VA at 8:00 am AEIHeartU challenges, Avery Elle, Cards, CAS Colours & Sketches, Less is More challenges, Stampin' Up! 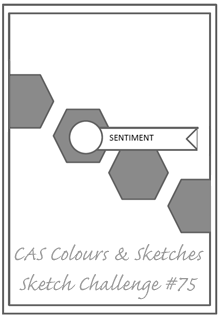 CAS - Colours and Sketches #100! Wow! 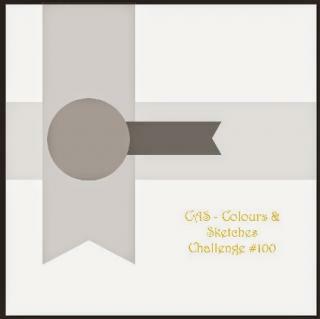 Today marks the beginning of the 100th challenge at CAS – Colours and Sketches! What a milestone! 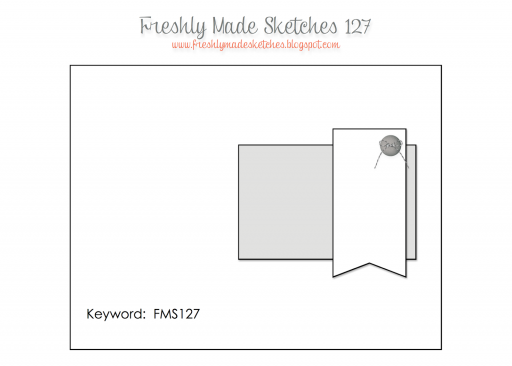 Lizy, our challenge hostess for November, has drawn up a nice little sketch for us to work with this week. 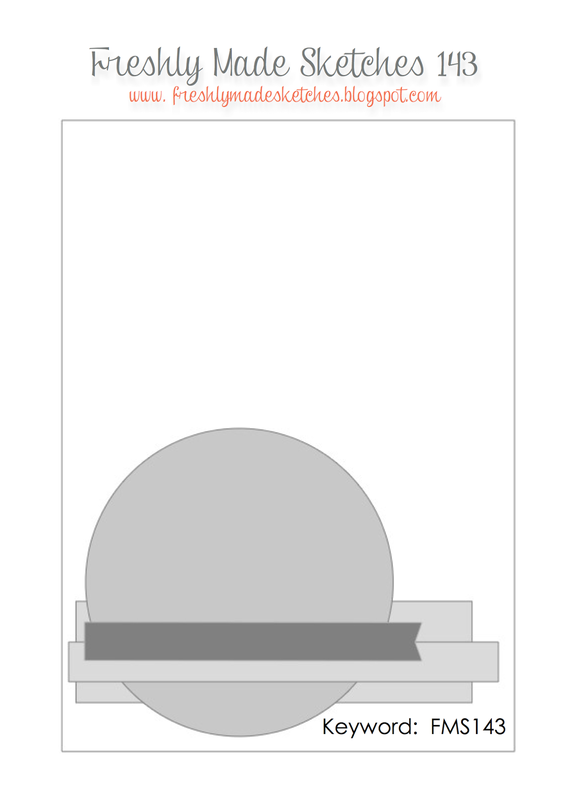 You’re welcome to change up the shapes a bit or turn the sketch on its side, just so long as we can recognize the general idea of the sketch. I’ve stretched it into a rectangle for my card. I’ve been on a bit of a kick lately to use up some older supplies, and that carried through on today’s card. I had one remaining red poinsettia from a package of paper flowers, so I decided to use that as the focal point of the card. The red cardstock is a color that’s been retired for a while, and I already had this card base cut to size, waiting to be used. 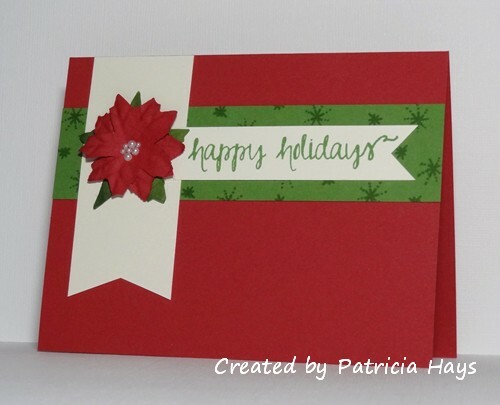 The green and vanilla cardstocks used here were scraps left over from other projects. I just dressed them up by cutting the vanilla into the banner shapes and by stamping some small starbursts on the green. The only “new” things here are the stamp sets I used and the package of pearls I opened to get the sizes I wanted for the center of the poinsettia. I’m also entering this card into the current challenge at AEIHeartU. It’s been a while since I’ve played along there. I hope you’ll join us at CAS – Colours and Sketches! Go check out what the rest of the design team has made. Then link your own card at the site by 1:00 p.m. Eastern time Wednesday, November 19. Thanks for stopping by today! 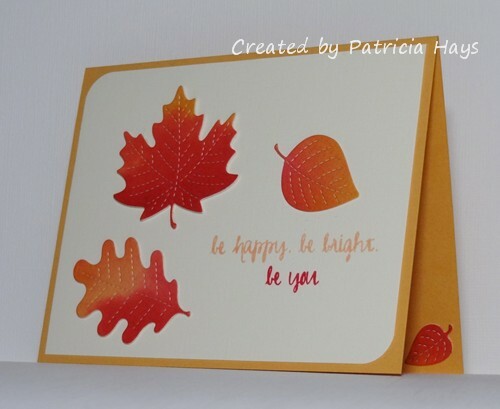 Posted by PH in VA at 4:00 am AEIHeartU challenges, Avery Elle, Cards, CAS Colours & Sketches, Stampin' Up! Just a quick post to share the card I’ve made for the current AEIHeartU challenge. This time they’re asking challenge participants to use dies. I had fun with this one. I figure it makes a good any occasion card for Operation Write Home. In retrospect, I wish I’d thought to die cut the stars from the blue cardstock so that the yellow showed through, rather than cutting the stars from the yellow and adhering them to the blue. Oh well. The card just looked too plain without the stars. Hello! It’s been a pretty quiet week around here, but today it’s time for a new challenge at CAS – Colours and Sketches. This week Jacqueline, our challenge hostess, has come up with a color scheme using some deep, rich colors. I decided to go floral with the colors, using the two shades of purple for flowers and the green for leaves. Yes, that very dark color is actually purple, although it tends to show up a lot like black. It’s really hard to tell in the photograph, but the background is textured cardstock. 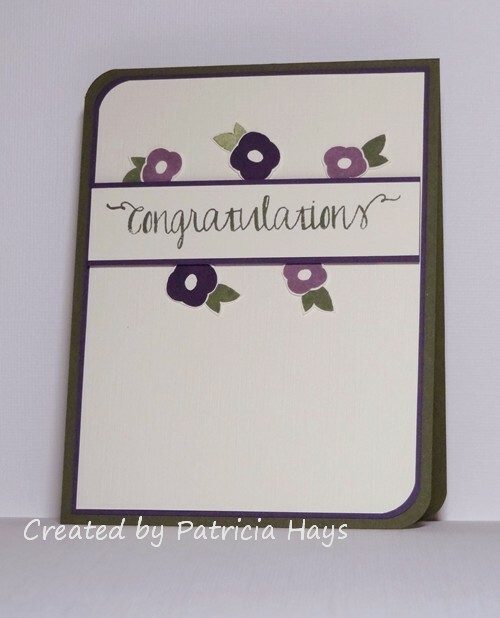 I stamped the flowers and leaves on smooth cardstock, fussy cut them, and then adhered them to the background. 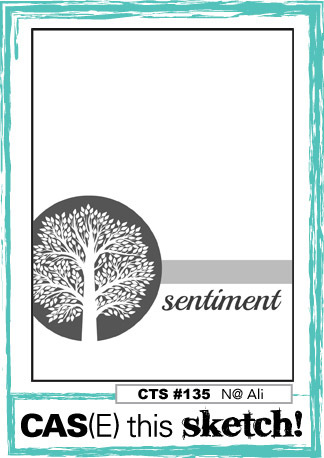 The sentiment panel is also smooth cardstock, and it’s attached with dimensional adhesive so it sort of “floats” over the flowers. 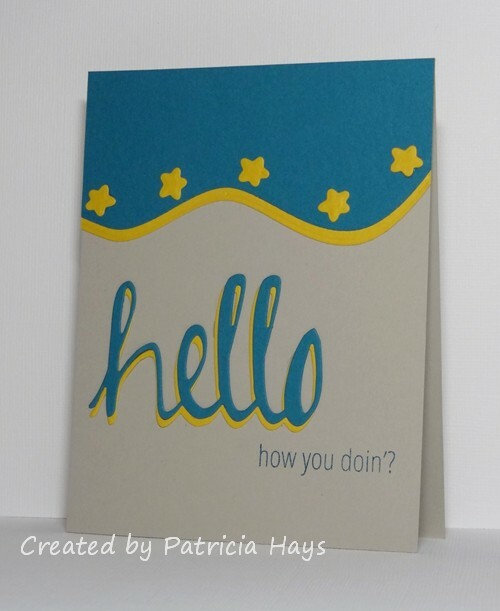 Opposing rounded corners add a little extra interest to the card. 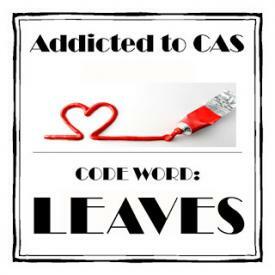 The layout is from the CAS(E) this Sketch! challenge that ends today, and the inspiration for the sentiment comes from the current AEIHeartU challenge. Be sure to check out what the rest of the CC&S Design Team has done with these colors! Then share your own card with us by linking it to the challenge post by 1:00 p.m. Eastern time Wednesday, July 23. We’d love to have you join us! Thanks for stopping by today. 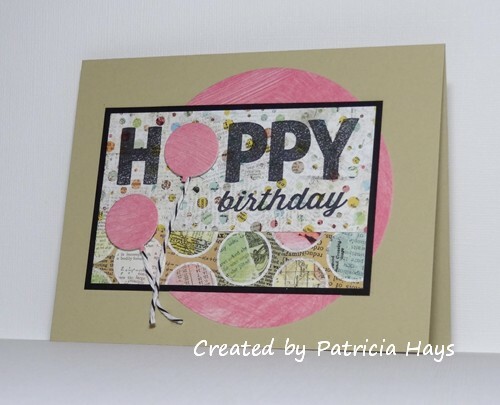 Posted by PH in VA at 4:00 am AEIHeartU challenges, Avery Elle, Cards, CAS Colours & Sketches, CAS(E) this Sketch!, Stampin' Up! Hello! We’re starting off a new month of challenges at CAS – Colours and Sketches, and this week we have a color challenge of two neutrals and a pretty pink for you to try. I puzzled about how I was going to use the gray and tan colors together and finally decided I could make it work if I kept them minimal. 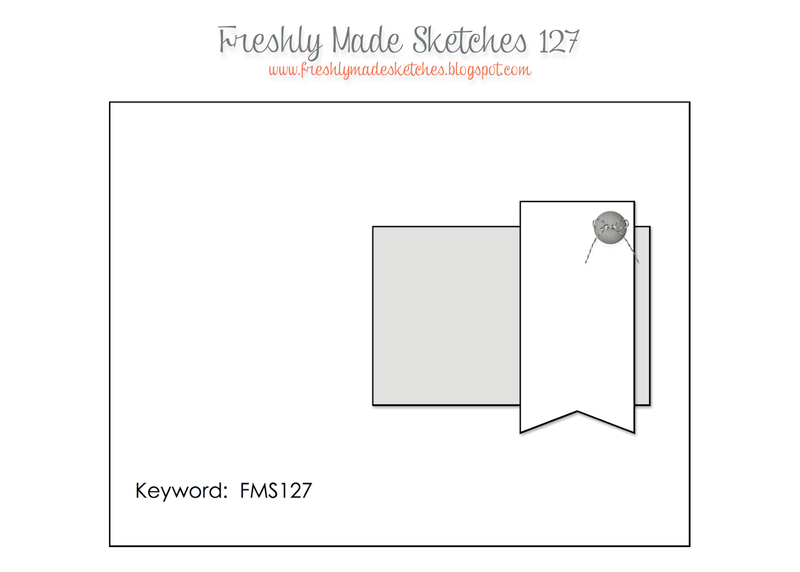 LOL This week’s Freshly Made Sketches challenge provided the layout for my card. 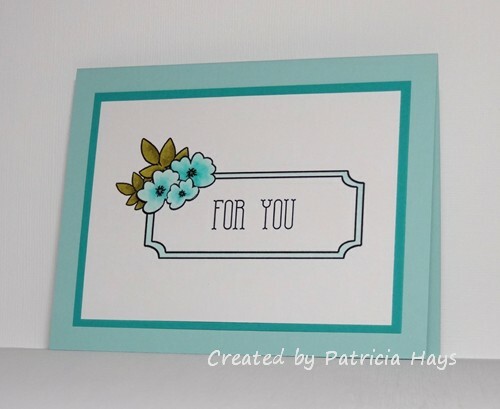 I wanted to add another thank you card to my stash for Operation Write Home, so that was the inspiration behind this sentiment, which is stamped on a scrap of vellum that I’ve had for years. Hopefully the little star brads will be enough for this card to qualify for the current AEIHeartU challenge to use gold. Be sure to check out what the rest of the CC&S Design Team has done with these colors! Then share your own card with us by linking it to the challenge post by 1:00 p.m. Eastern time Wednesday, July 9. We’d love to have you join us! 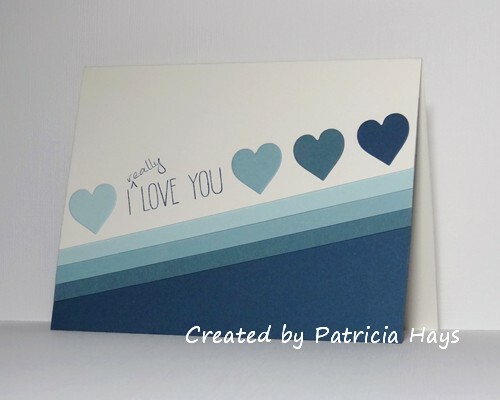 Posted by PH in VA at 4:00 am AEIHeartU challenges, Avery Elle, Cards, CAS Colours & Sketches, Freshly Made Sketches, Operation Write Home, Stampin' Up! Hello! This week’s CAS – Colours and Sketches challenge is a sketch challenge. Although the sketch has hexagons drawn on it, you’re welcome to use any similarly sized geometric shape. So long as we can see the basic elements and layout of the sketch, it’s all good. I’ve combined the sketch challenge with the current AEIHeartU challenge to use botanicals. My most recent Avery Elle purchase arrived earlier this week, so I was able to put the floral stamps to use right away! 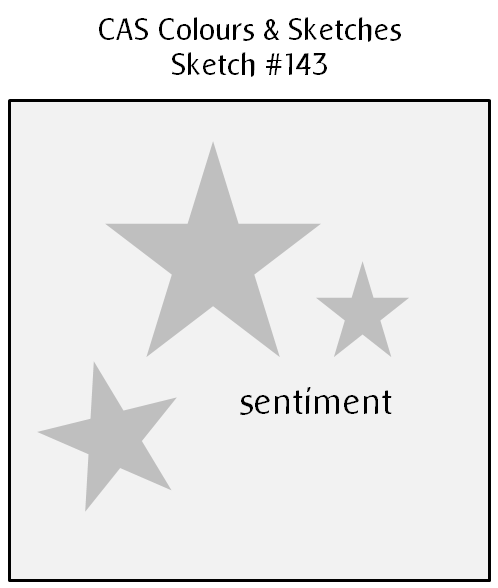 These flowers are actually kind of accent stamps for a sentiment set. 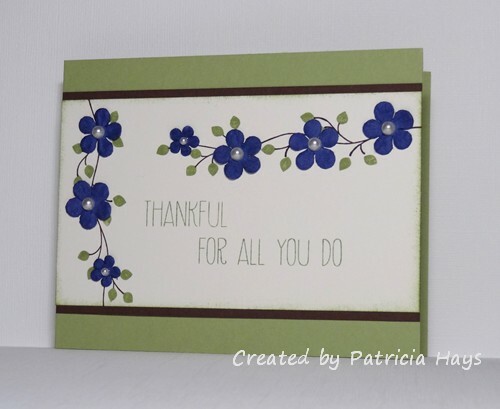 I originally planned to stamp the flowers, fussy cut them, and mount them on die-cut hexagons. But the sizes of my hexagon dies were either too large or too small to look right. After searching through the rest of my dies, I finally chose to use scalloped circles. I sponged the edges of the circles so they’d show off better against the textured white background. Once I mounted the flowers onto the circles, I realized that the scalloped shape and the sponging inadvertently make the circles look like they are part of the flowers. But I view that as kind of a happy accident. The sentiment comes from a different Avery Elle set. 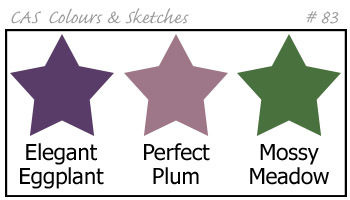 It’s amusing to me that I’ve used some of my newest stamps with some of my oldest cardstock and ink – the purples and green have been retired for several years now. But I think they combine nicely for a card suitable for Operation Write Home. Thanks for stopping by today! I hope you’ll join us over at CAS – Colours and Sketches with your own take on this sketch! You have until 1:00 p.m. eastern time Wednesday, May 28 to link your card at the challenge website. 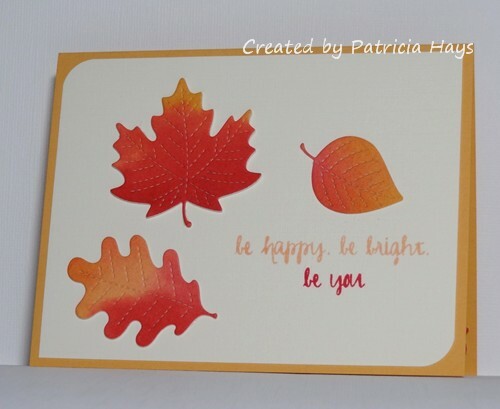 Posted by PH in VA at 4:00 am AEIHeartU challenges, Avery Elle, Cards, CAS Colours & Sketches, Operation Write Home, Stampin' Up! This is just a quick post to say “thank you” to all the mothers in the world for everything they do! I thought I’d share the Mother’s Day card I’ve made for my own mom. She is pretty awesome in her own quiet, humble way, and I love her lots! Just a quick post here to share a card I’ve made for the AEIHeartU challenge. They want to see gradient/ombre colors, so I’ve chosen some shades of blue to carry that out. I could have used pink and red to go along with the love theme, but that seemed too obvious, so I went with something different. I think this stamp set is a fun one with its little words with the carets to add some adjectives and adverbs! Thanks for visiting my blog today! Comments are always read and appreciated. I haven’t had the chance lately to play along regularly in the Freshly Made Sketches challenges, but I really like the simplicity of the current sketch so I made sure to make time for it. I’ve combined it with the current AEIHeartU challenge to use embellishments. Putting some of my Prima flowers to use felt good! The brads also count as embellies. 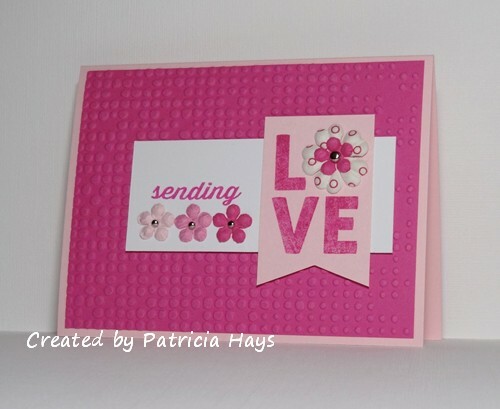 I used an embossing folder on the bright pink panel to keep the card from looking too plain. And there’s another card for my Operation Write Home stash. Posted by PH in VA at 8:00 pm AEIHeartU challenges, Avery Elle, Cards, Freshly Made Sketches, Stampin' Up! Thanks for stopping by! I read and appreciate every comment – and I apologize for the spam catcher’s tendency to flag comments from blogs outside the United States.